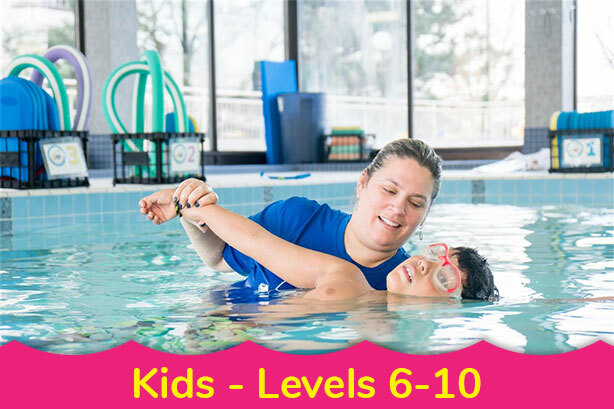 Kids swimming lessons at our four Toronto and North York locations focus on endurance and independence. In so doing, we develop front and back short- and long-distance swimming skills without assistance, teach kids deep water jumps, the front crawl and safety skills. If you have any questions about our kids swimming lesson classes, we invite you to email us at info@davinasswimhouse.com or call us at (647) 352-7665. In this level, swimmers complete the Elementary Backstroke, while strengthening and perfecting the previously learned strokes. Endurance is focused on as well, with lengthened distance swims. This level provides an introduction to Breast Stroke. Swimmers learn the preliminary steps, including whip kick on front and breathing patterns. Previous strokes learned are expanded upon, as swimmers learn bi-lateral breathing for Front Crawl. In this level, swimmers complete Breast Stroke, while continuing to perfect their previously learned strokes. Safety and basic first aid knowledge is expanded upon, as well as endurance. In this level, swimmers learn Side Stroke while correcting and perfecting their previous strokes. Endurance and technique are the focus, along with safety. This is the final level of the Swim Kids program, in preparation for Patrol and Bronze levels. Swimmers learn the Butterfly stroke, fine-tune all other strokes, and increase endurance and strength, as well as safety. Swimmers continue stroke development with 50 m swims of front crawl, back crawl and breaststroke. Lifesaving Sport skills include a 25 m obstacle swim and 15 m object carry. First aid focuses on assessment of conscious victims, contacting EMS and treatment for bleeding. Fitness improves in 350 m workouts and 100 m timed swims. Swimmers develop better strokes over 75 m swims of each stroke. They tackle Lifesaving Sport skills in a lifesaving medley, timed object support and rescue with a buoyant aid. First aid focuses on assessment of unconscious victims, treatment of victims in shock and obstructed airway procedures. Skill drills develop a strong lifesaving foundation. RACING – The racing-style program gives students a taste of competitive swimming. They will learn flip turns, racing dives, how to read a racing clock, as well as complete racing drills and timed races. 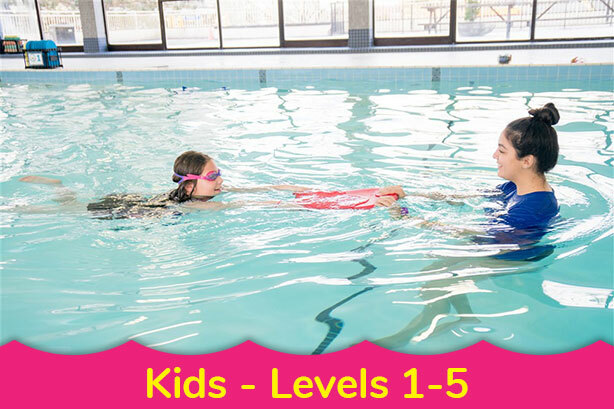 PHYSICAL IMPROVEMENT – This class is designed for swimmers who have either completed the Swim Kids program and would like to maintain their skills, or for swimmers who have not had formal training (or have not been swimming for some time) and need to improve their strokes / endurance. It is mainly focused on form, physical fitness, improving anaerobic endurance and using swimming as a full body exercise.